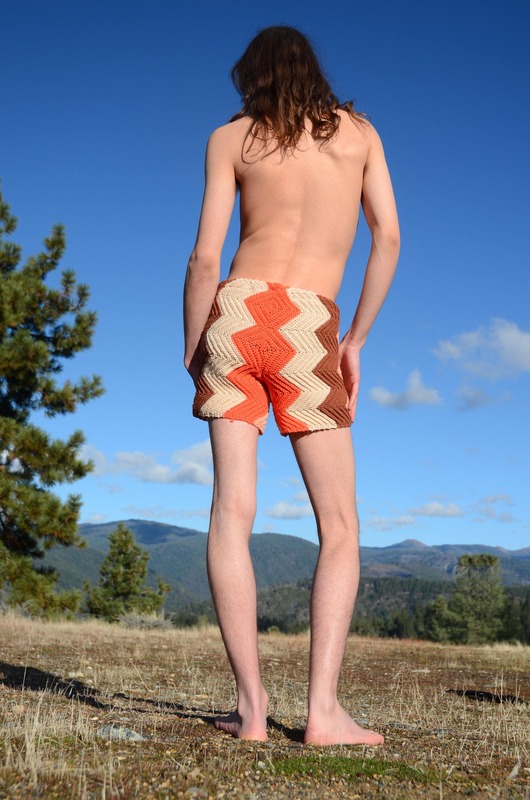 These are soft and comfortable crochet shorts with 1970s zig zags. 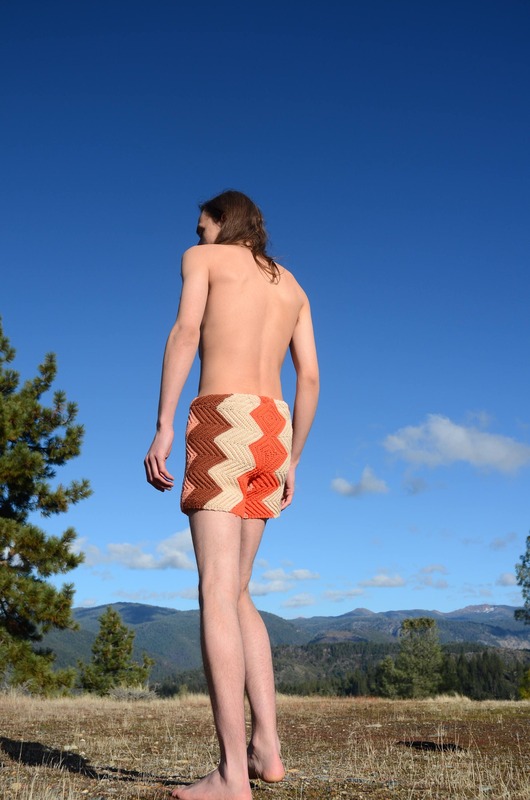 Made from an afghan blanket crocheted in 100% acrylic yarn. These are S/M sized shorts, great for a 30-34 waist size, but can easily size up or down. Finished with drawstring waist. Really soft and comfortable! !